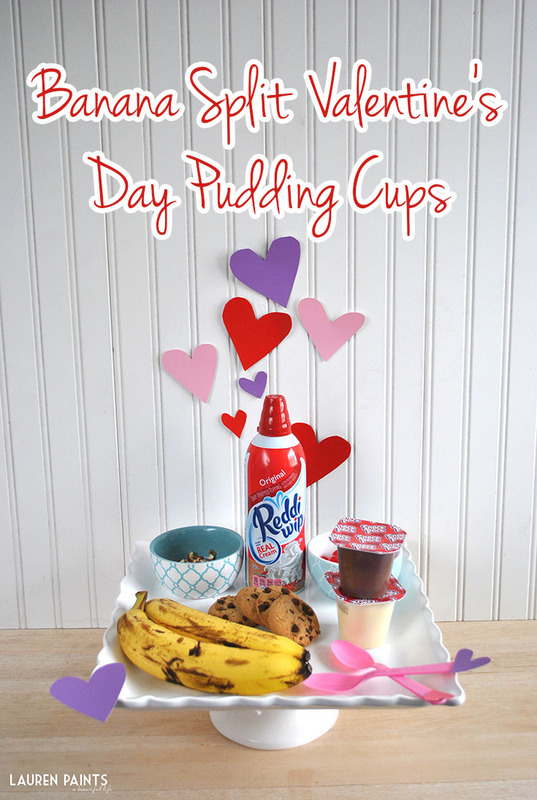 Valentine's Day is all about sharing the love, right? I'm all for getting creative and we all know "it's the thought that counts". 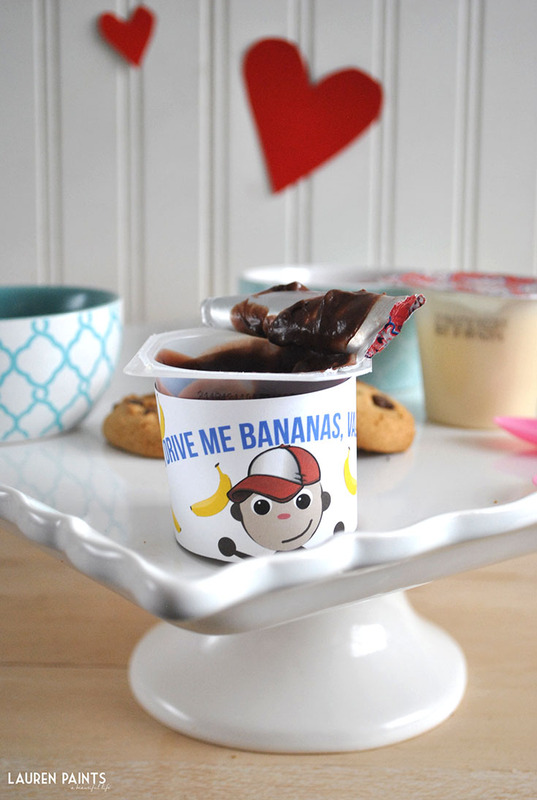 So when I was brainstorming up a few ways to spoil my love bug, I started to think about a few of the things we enjoyed together... Then it came to me, I combined a few of everyone's favorite treats together to make the ultimate dessert for Valentine's Day - Banana Splits made with Snack Pack Pudding! 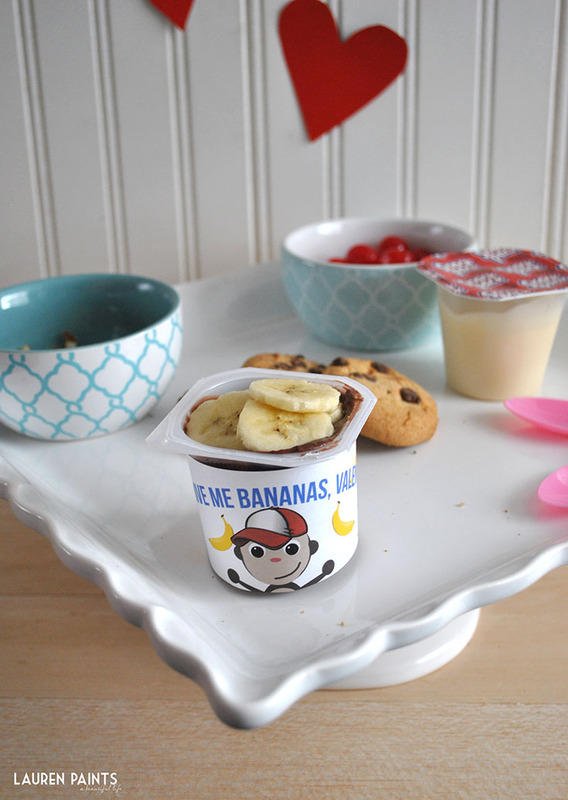 I decided to make this sweet treat even sweeter, I designed a set of cute, banana-loving monkey printables and decorated my cups! 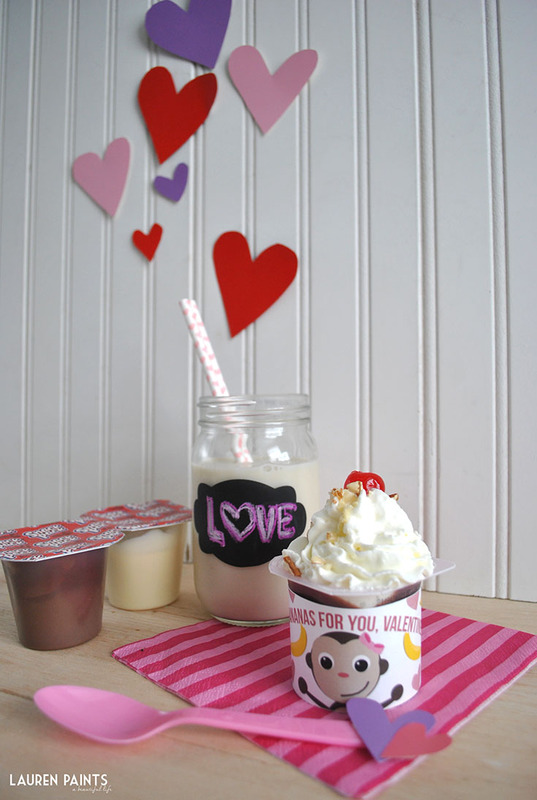 You can download both FREE printables here! 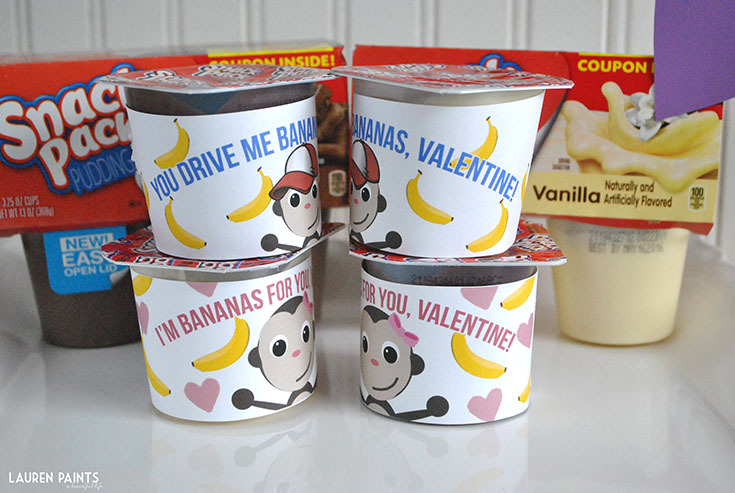 Make your own Snack Pack Valentine's to surprise your little one, their classmates, or even your main squeeze! 1. 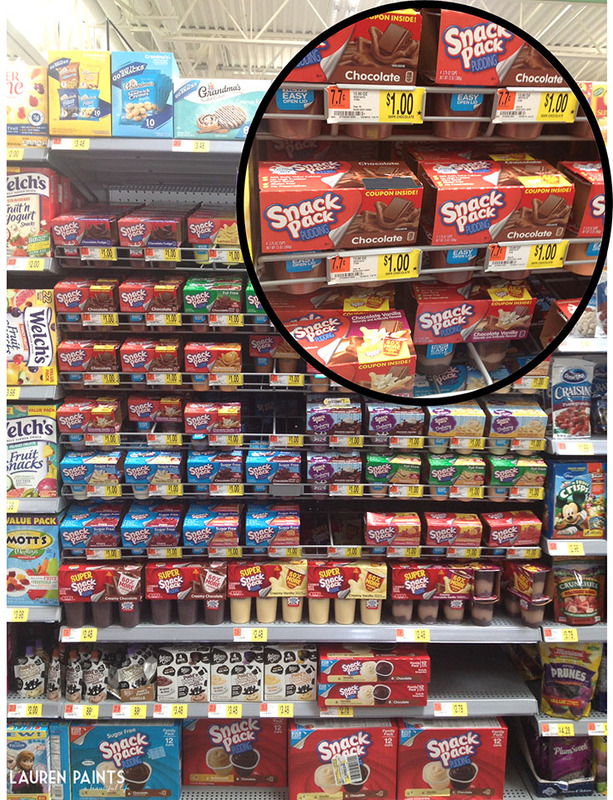 Open Snack Pack Pudding, they have new packaging so this is even easier than it used to be! 2. 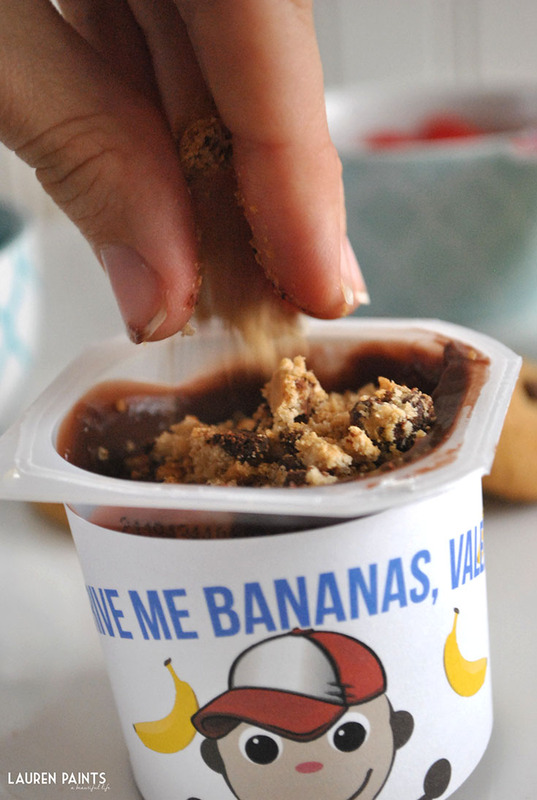 Crumble a cookie into pudding. 3. 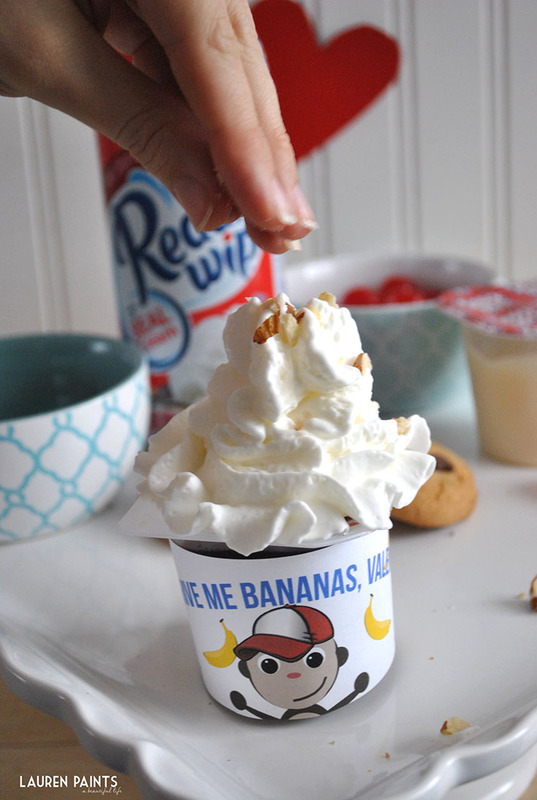 Layer bananas (cut up into little pieces) on top of cookie crumbles. 4. 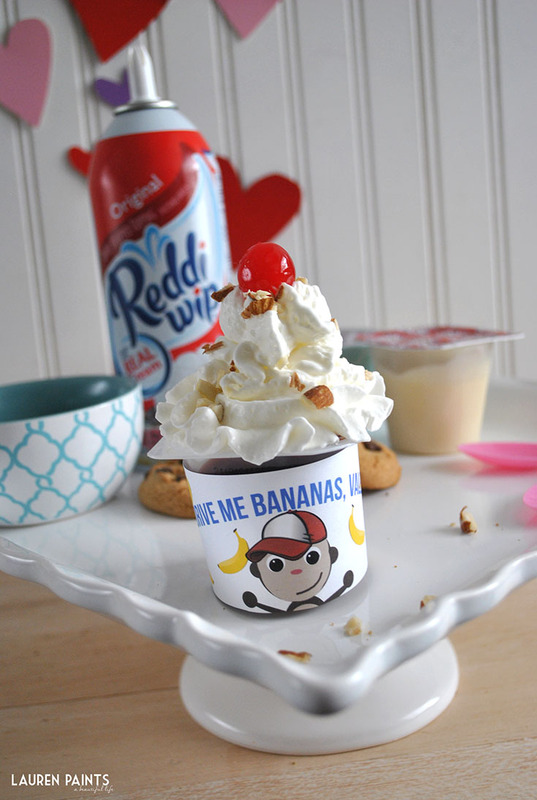 Add just the right amount of Reddi-Wip and nuts (or sprinkles? YUM!). 5. Put a cherry on top (to make it official)! 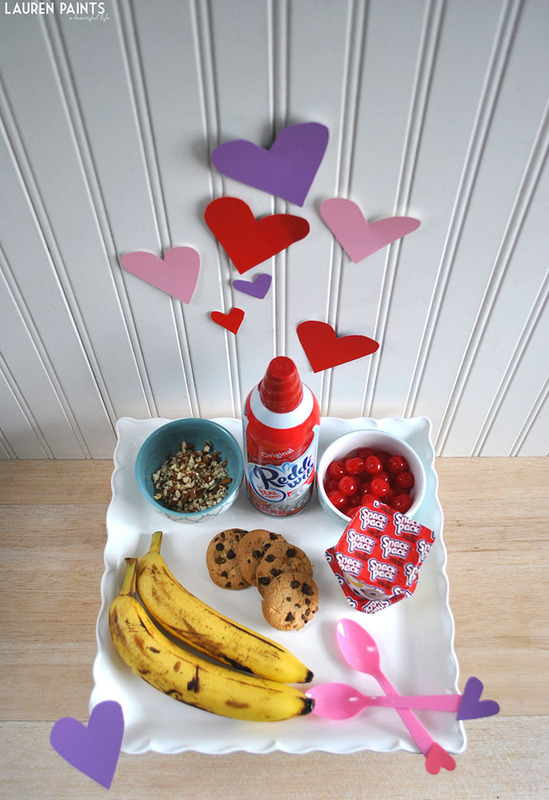 What sweet little things do you have planned for your sweetheart on Valentine's Day? 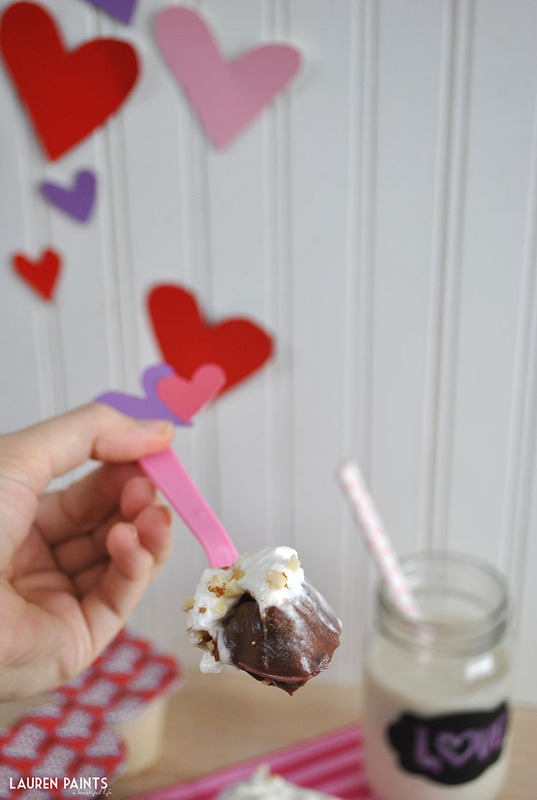 I'd love to hear how you plan to spoil the one's you love! 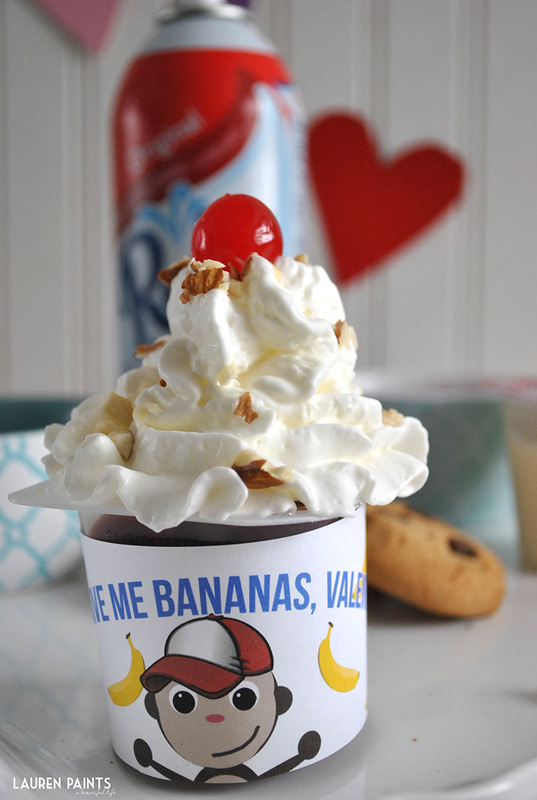 Don't forget to treat them to something sweet with a Banana Split Pudding Cup they'll just go bananas over!